One of the reasons Jessie Everson appreciates Beloit is for its surplus of recreational activities. 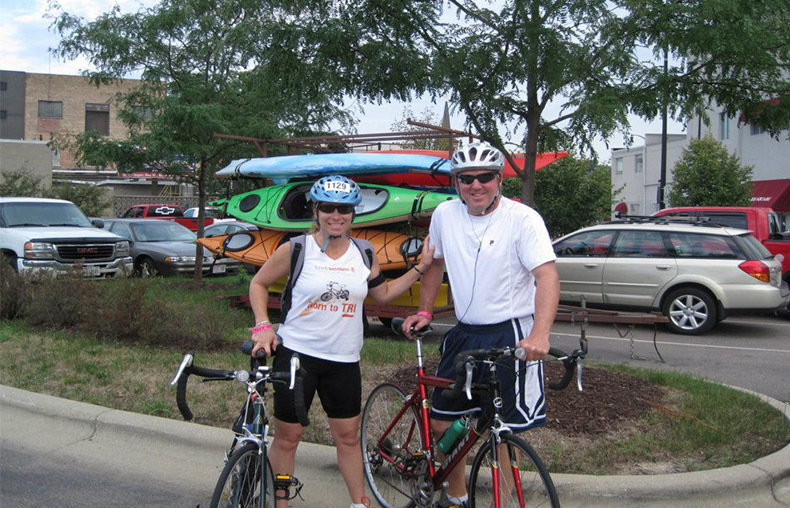 From playing in winter volleyball leagues to biking to participating in summer pickle ball with her husband Tom, the mother of two takes full advantage of Beloit’s many offerings. The Edwards Ice Arena is an indoor/outdoor refrigerated rink open October through March. It is home to the Beloit Youth Hockey Association, Beloit Memorial High School hockey teams and the Rock County Fury. The Krueger Municipal Pool is open from June through August, and offers a variety of swim programs for the community. “The pool is another historical landmark that was built in 1967 and updated in 1984,” says Waite. 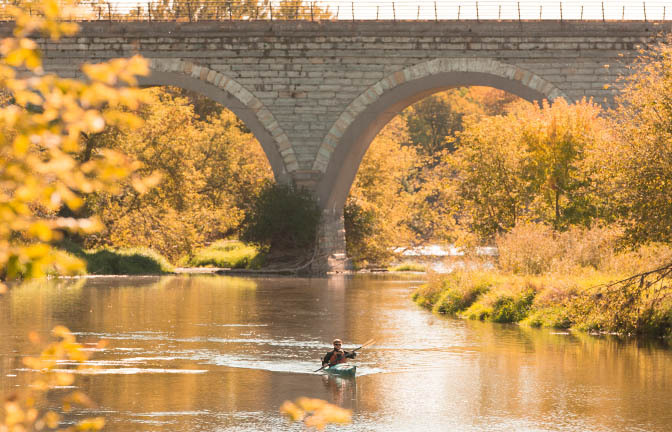 If parks are your thing, Beloit has plenty to choose from. Big Hill Park is one of Beloit’s most scenic sites. 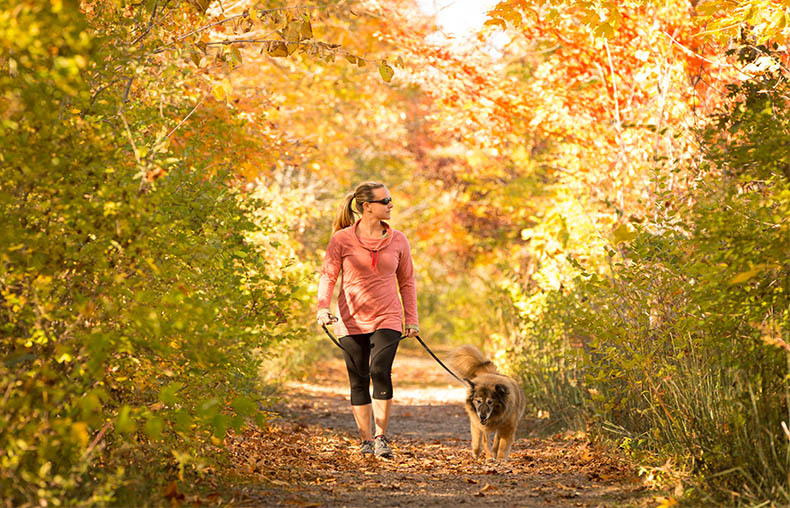 Located on the bluffs of the Rock River, this 190-acre park boasts nature and hiking trails, an environmental education center, a picnic shelter, restrooms, play equipment, cross-country ski trails and a scenic overlook with spectacular vistas. The crown jewel of Beloit is Riverside Park, located on the banks of the Rock River. The park buzzes with activity all through the year, but it really comes alive during summer with Music at Harry’s Place, Dancin’ at Harry’s Place and the Fourth of July Festival, Pops on the Rock. In addition, this 23-acre park is home to famous Turtle Island Playground; Beloit River Walk, a 3.5 mile paved walk-bike path around the Rock River; the Harry C. Moore Pavilion and the Rotary River Center. Paddle boats and tandem bicycles are available for rent. The park also features fishing, ice skating on the lagoon, two picnic shelters, play equipment, lighted tennis courts, concessions and restrooms. Free Admission. Turtle Island Playground is designed around the adventures of Beloit native Roy Chapman Andrews. Dig for fossils, climb on dinosaur bones or splash in the fresh water “creek.” Turtle Creek Recreation Area winds its way through this recreation area, offering opportunities for fishing, hiking and cross country skiing. A trail meanders throughout the area offering frequent sightings of wildlife, wild flowers and water fowl. During winter take advantage of the groomed cross country ski trails offering five different loops varying in length from 4/10 to 1.5 miles. Learn more our parks at The City of Beloit Parks and Recreation website. Barder is a member of the Stateline Spinners, a local cycling group that meets on Tuesday and Saturday mornings, from the Beloit Bicycle Company in downtown Beloit. The group rides anywhere from five to 30 miles on any given trip. 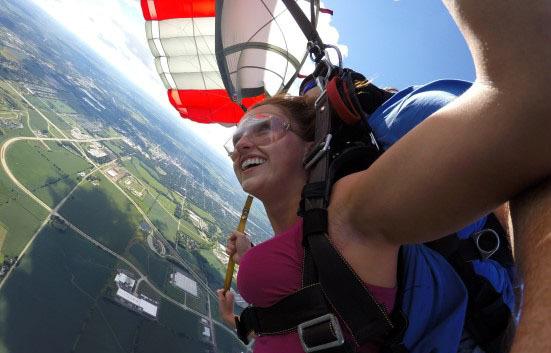 If you’re looking for a little more adventure, skydiving might be the thing for you. Skydive The Rock offers a variety of opportunity to spread your wings, so to speak. Located at the Beloit Airport on Highway 67, tandem skydiving is offered from April through November, seven days a week weather permitting. Your skydiving experience begins with a 20 to 30 minute class. Then you will be placed in a FAA approved harnessed. Once this has happen you will be teamed up with your United States Parachute Association rated tandem instructor. The two of you will then board the plane and travel to 14,500 feet to do your skydive. Upon exiting the plane you will fall for 60 seconds then open the parachute about one mile up. Once under the parachute you will glide for 3 to 5 minutes back to the landing area to meet your family and friends. Jumps are $239 per person and group rates, including student and military discounts, are also available. Must be 18 years of age and weigh less than 240 pounds. Training and safety classes are also offered. Hit the links at two different golf experiences. Krueger-Haskell Golf Course, 1611 Hackett St., is located on the west side of Beloit. The course was named after Butch Krueger, a touring golf professional and a PGA professional at Beloit Municipal Golf Course for 30 years. Everett Haskell was a Beloit native, local businessman, city council member, and an avid golfer. The 18-hole course features a unique layout, mature trees and rolling terrain that makes it challenging and enjoyable for any golfer. 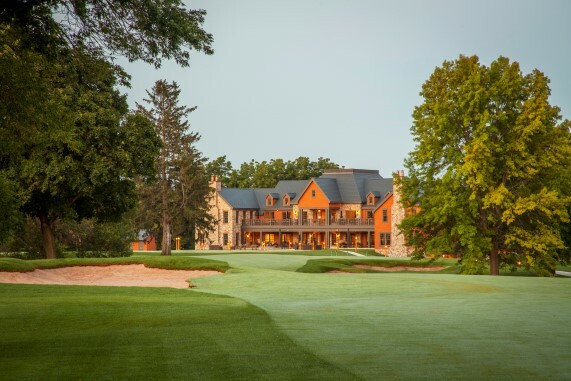 If you’re looking for a world-class round of golf, topped with an exceptional meal prepared by one of the best chefs in Wisconsin, you will find it at the Beloit Club. The spectacular 18-hole private golf course at the Beloit Club offers some of the most scenic views in the area and a classic layout. The stunning new facility includes a full service clubhouse that offers both elegant and casual dining in the Standard Tavern. It also offers full locker rooms, a golf shop, private meeting areas and separate banquet space in a comfortable and stylish atmosphere. Whether it’s volleyball, golf, basketball, bowling, softball, bags or Kubb – we’ve got your game in Beloit! 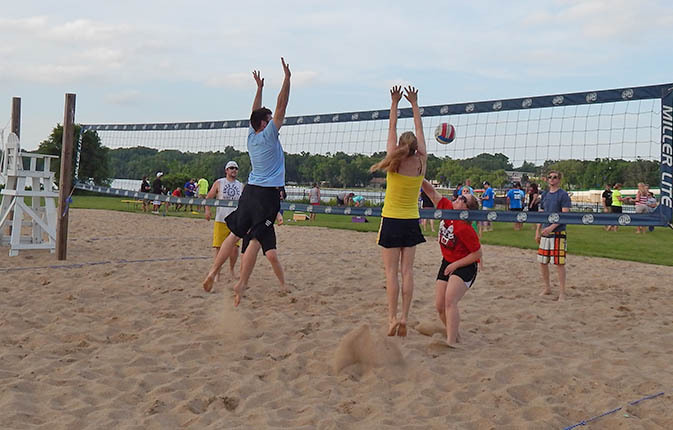 The City of Beloit Parks and Recreation Department and local bars, such as The Rock Bar and Grill, offers various team sports. The Stateline Family YMCA offers a variety of programs for area residents. There are traditional programs such as Zumba, Body Pump, and strength and cardio classes, as well as untraditional classes for cancer survivors and those living with Parkinson disease. There are a wide range of senior classes, as well as programs such as Fit Families, an 11-week education and recreation program for families with obese children. A new program called TRX Suspension Training, which incorporates a method of leveraged bodyweight exercises. “We watch the trends, and we listen to what our members want.” says Ann Hankins, healthy living director for the Stateline Family YMCA.